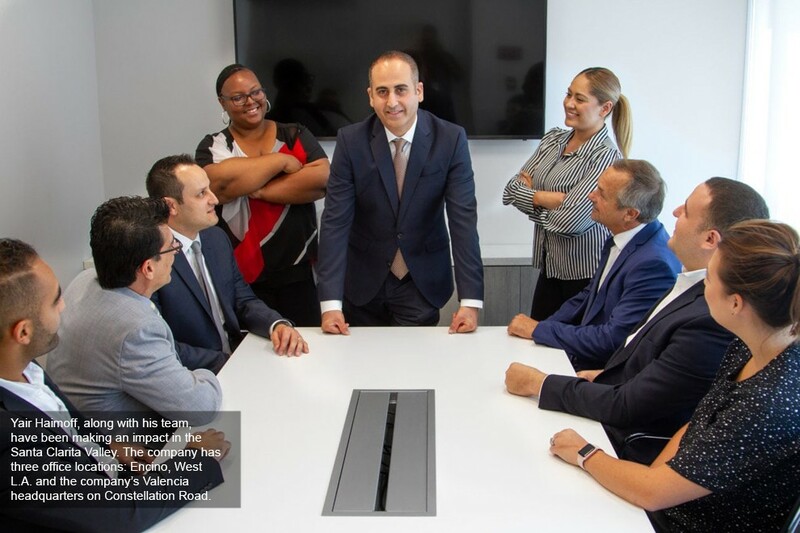 After more than 15 years with NAI Capital, Yair Haimoff and his team have struck out on their own and have already made a big impact in the Santa Clarita Valley real estate market. Haimoff, a commercial real estate adviser with nearly two decades of brokerage, leasing, sales and investments experience, announced the launch of his new firm, Spectrum Commercial Real Estate Inc., earlier this year. Since January, Spectrum has been involved in several significant transactions, including the sale of the former home of Einstein Academy charter school, a $6 million property on Kelly Johnson Parkway, in addition to helping Santa Clarita Valley businesses find spots in industrial spaces such as the Centre Pointe Parkway business park in the center of town. There, Haimoff recently located a new client where the home of the Warrior Fitness facilities were located. 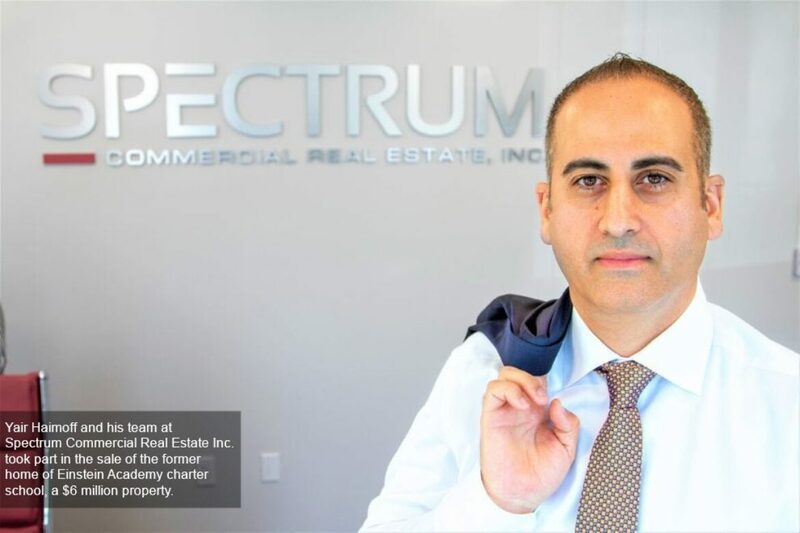 “My goal is launching Spectrum CRE is to provide a fresh and innovative approach to brokerage, using technology to streamline processes so our brokers can focus on providing superior client service without getting distracted by administrative tasks,” Haimoff said, nothing that, with his new company, he looks forward to innovating. Haimoff is serving as the firm’s executive managing director and joined by brokers Isaac Haimoff, Matt Sreden, Andrew Ghassemi, Barry Jakov, Alan DiFatta, Shawn Jacobson and Nathan Shaolin, with additional brokers joining the firm soon. Starting his own firm has been given Haimoff a number of opportunities he’s using to try to better serve Spectrum’s clients, he said, such as state-of-the-art drone footage, a little more control over client services and offices in three locations: Encino, West L.A. and the company’s Valencia headquarters on Constellation Road. The firm’s services include tenant and landlord representation, leasing, sales (owner-user and investments), 1031 exchange buyer representation, national single-tenant investment sales and acquisitions, net lease investments, build-to-suit developments and debt/equity. 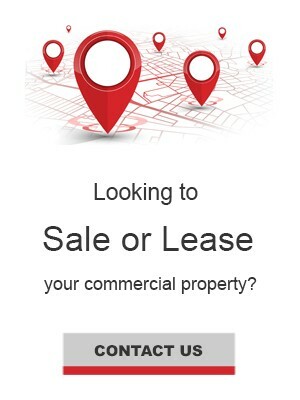 Spectrum CRE currently represents property listing throughout Los Angeles and Ventura counties. I arranged a very large multi-building mortgage loan transaction for a client of Yair’s in Santa Clarita. The lender was a very sophisticated Wall Street conduit lender. A key factor in the underwriting and concluding the loan was for the Senior Officers of the lender and the Underwriter to understanding the industrial market and true comparable rents, sales and the market trends. I arranged for Yair to make a formal presentation to their staff on-site. Yair did a fantastic job, and the Lender reported that Yair’s work was some of the finest they had received. The loan underwriting was completed successfully and the loan funded in accordance with the accepted terms. Job Well Done.